Vibrating guitar strings on black background. All six. hd00:12Vibrating guitar string on black background. Only "A" string. hd00:08Vibrating guitar strings on black background. Only "e" string. hd00:12Vibrating guitar strings on black background. Only "G" string. hd00:16Vibrating guitar strings on black background. All six, hard. 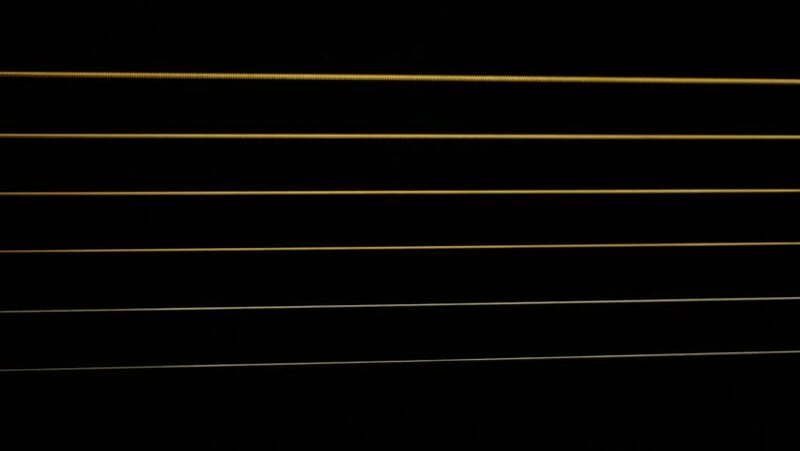 hd00:12Vibrating guitar strings on black background. All six guitar strings bring strummed. No hand. hd00:19Vibrating guitar strings on black background. One by one. Hand did not appear. hd00:09Vibrating guitar string on black background. Only "D" string.